Daniel Ricciardo finished top of the time sheets after Thursday’s second free practice session for the Monaco Grand Prix. The Australian set a time of 1:14.607 to lead the way ahead of world champion Lewis Hamilton and championship leader Nico Rosdberg. 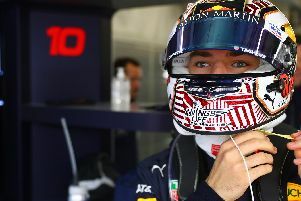 Max Verstappen was fourth fastest with a time of 1:15.571. Ricciardo is using the new spec Renault engine for the Monaco Grand Prix, with the French manufacturer only bringing two to the principality. The other is in the Renault car of Kevin Magnussen. There is no F1 action at Monaco on Friday, but they will return for the final free practice session on Saturday morning ahead of qualifying.